The tips, designs, articles and other information here have been compiled to help rocketeers get up to speed on contest flying. The NAR’s competition rule book is officially called the “U.S. 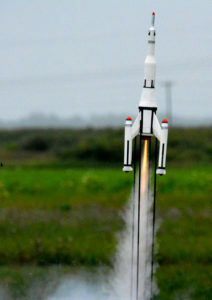 Model Rocket Sporting Code”. The Code has a lot of rules in it, and some people feel overwhelmed by them. A lot of the rules cover things as to how to run contests, or calculating contest points, which you really do not need to wade through in order to compete. So, each of the individual event tips pages posted here have their own short description and the basics for each event. However, if you want to really understand the finer points of the rules or are considering a design that may skirt the boundaries of the rules, by all means you should consult the Code. Getting Started. Everyone has to start somewhere. It may be useful to identify a few events that you yourself find interesting to you, and concentrate more effort into preparing for those events over the other events. Just Fly It. Try some of the other events too, devoting less effort than some other ones you are keying on, but try none the less, and fly them. A lot is learned by just trying, and a lot is learned by competing for real, so the more experience you get now can pay off later. Adaptability 101. If you just can’t make up contest models for many of the events, you can draft some of your sport models that can be adapted or pressed into use. A lot of 18mm models can be flown in Streamer Duration. Others can be pressed into use for egg loft with the addition of an egg capsule. Of course, performance potential may be compromised. In some duration events, reduced performance potential could be considered a “good thing” if a contestant loses their first model and needs to make sure they get their second model back — although for some meets having specific “return flight” models may not be critical. Reliability 101. In the long run, reliable models of lesser performance usually beat unreliable high performance ones. The fanciest high-concept model that is theoretically capable of outperforming everyone else’s models means little if it can not perform reliably. For the new flier, it is better to go with something of a proven reliable design or competitive kit than try something more advanced or complex. Even advanced competitors fall victim to trying to squeeze performance too far, but when/if such models do fail, they understand that it is a gamble they chose to take. Reliability 102. Recovery Systems often fail. Kit type shock cords in general do not work well for most parachute/streamer recovery contest models. Do not glue shock cord anchors inside of body tubes (at least not the common kit types that are attached inside of the tube wall). These anchors are likely to make the recovery system jam inside the body tube and after a few flights the shock cords tend to break at the anchor and are impractical to fix. The most useful parachute/streamer shock cord system for most lightweight contest rockets is to use 100 pound Kevlar cord. For models with any significant weight, elastic shock cords are useful to absorb shock. Single egg lofter type models can use 1/8″ elastic, as can some not-too-heavy plastic models. Beyond that, 3/16″ to 1/4″ elastic can be employed to absorb shock in larger/heavier models such as plastic and scale models. For heavier rockets the parachutes should be strong enough. Over-the-top shroud line reinforcement is one method to strengthen a plastic parachute (See the Egg Loft, Scale, or Plastic model articles on how to do this). In Scale, some modelers use fabric type chutes, but only if they have adequate room to store and safely eject the chute, since they take up more room for any given body tube storage space when compared to plastic chutes. Reliability 103. Wherever possible, test/practice fly your models. This might not be a solid requirement for kits or some designs built from a plan. However the more out of the ordinary something is to you, the more you should consider flying it at your home field to see how it performs. If you have designed your model yourself, absolutely test-fly it. This can be a double edged sword, you want to fly it to see how it performs, but you do not want to lose your rocket if it performs well. You might want scale back on the engine power, but don’t under power it to the point of crashing before ejection. Some full power testing might be needed though. A B Rocket Glider flown on an A does not prove the wing is strong enough for a B. However, if you have confidence the model (wing in that case) is built strong enough, then that might do. A really nice way to test, where possible, is to fly shortly after dawn, when the winds tend to be light. That only does you any good if you can fly at a site on short notice though. Other testing doesn’t necessarily risk losing the model, but shows that you have learned how to prep the model and fly well. Packing a chute for Egg Duration or Parachute Duration is an important thing to learn. The objective is to pack it in such a manner that you go with a big chute that deploys quickly after ejection. 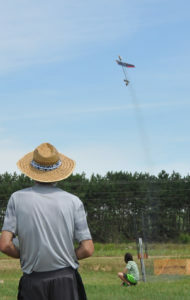 Or to test by prepping and flying models that use a unique method of recovery, such helicopter and rocket glider models, and the burn-thread/rubber band activation systems which many of those designs use. Testing for events like Sport Scale and Plastic Model Conversion can be important as well. If you are making your own scale model, rather than building from a kit, a boilerplate model can be very useful. Same for Plastic Model. If you achieve first place after static judging, but the flight is disqualified, the static score doesn’t count for anything. Boilerplate testing should include using the same shock cord and parachute system as you intend for the real model to use. 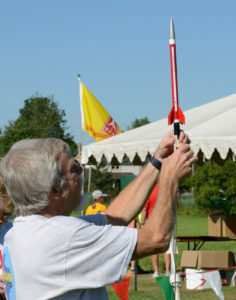 If you test using one kind of chute and then use a different chute type for the actual contest model, then your testing did not prove out the recovery system. If there is any doubt as to stability, be sure that if your boilerplate flew successfully, that the “real” model has its CG no further rearward than the boilerplate’s CG location. Why are some plans so old, or so few? Various reasons. Some plans are fairly well proven. The Rotaroc design for helicopter has not changed much since 1978. Same for Streamer models and some Gliders. 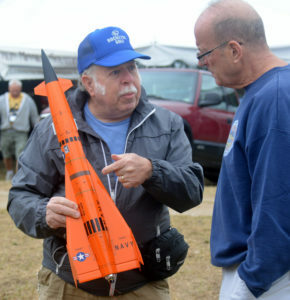 Some events are not flown very often, while for other events the rules have changed significantly over time (B Payload, such as Jim Cook’s 1980 plan for the old 1/2″ long lead payload). Many of the higher performance engines that used to be available in the past are no longer produced or contest certified (like Apogee 10.5mm micro motors and 13mm B7’s). Plans for those models are now moot. Also, simply, the pool of electronic versions of good plans has not hit critical mass yet. It’s not a beauty contest (except for the craftsmanship events). For Duration and Altitude events, great finishing and painting can make for great looking models, but the model’s appearance won’t get you any bonus seconds or bonus meters. A lot of finishing and paint can be detrimental to many duration type models, because of the extra weight making the models descend faster than if they were lighter. A lot of people fly duration models that are unpainted, or use some magic marker for coloring. For Altitude models it is a closer call, since low drag means smooth surfaces. So some try to hit a balance between a really good smooth finish without really weighing down the model too much. But build them well. Build the models to fly straight and true. Work towards attaching all of the fins so they are straight and parallel to the body. This should translate to a straight boost, with minimal wobbling that would hurt the altitude. Even Duration models get better times when they fly higher than they would if they wobbled. To eject, or not to eject? That is the question. Very few contest rockets use engine hooks. So the engines are often friction fitted in, using tape on the engine to build up the diameter. Sometimes the friction fit is not enough though, and the combination of the recovery system, wadding, and in some events tracking powder, is too much for the ejection charge to push out forward, so the engine ejects out the back instead. So, at the least, be sure to get a good friction fit of the engine in the tube. Some designs move the fins up a bit on the body tube, so the body tube sticks down about 1/4-1/2″ or so below the trailing edges of the fins. This allows for a second line of defense to be used to try to keep the engine from ejecting out. A collar wrap of tape is applied so that half the tape width is around the end of the body tube, and the other half is around the engine. You will see several plans that have this design feature. If you are using a plan or kit that does not have this feature, and want to move the fins up, make sure it is a very stable design or you may need to make the fins a little bit bigger. Also, try to not cram things tightly inside the body to begin with. Test-prep the model without engine, and using lung power, blow into the engine mount simulate and ejection charge (of course, do not do this with tracking powder or you will have a mess everywhere, including on yourself!). If you can’t get the nose and recovery system to eject out, or if it was very hard to do so, that will increase the chances that the engine will eject. So, refine the prepping methods and keep testing till you find a method that ejects easily enough. And remember to prep that same way when you fly for real. Lariat Loop Shock Cord Attachment. Ed LaCroix (creator and former owner of Apogee Components) has popularized a method that allows a Kevlar shock cord to be directly attached to the engine. Tie a slip knot in the end of the Kevlar shock cord and tighten it around the nozzle end of the engine. Wrap one layer of 1/2″ Mylar tape (available from ASP) around the Kevlar. This keeps the Kevlar in place and also acts as a thrust ring. The tape in front of the engine will go INSIDE the body tube so that the bulge in the tape from the Kevlar becomes the thrust ring. Insert the Kevlar and engine into the body tube until about 1/4″ of the engine still sticks out. Then wrap the body tube and engine with another layer of Mylar tape. If the engine should manage to eject, it remains with the model so a DQ is avoided (as long as some means of safe recovery deploys). The above method has some extra benefits. Since the Kevlar is not attached to the body tube, it can be easily replaced. It also does not block the inside of the tube, as some other internal shock cord mounts used. It has a couple of drawbacks, though. The Kevlar cord is not easily burned, bit it CAN be burned apart if exposed to too much of an ejection charge. 100 pound Kevlar holds up well to 18mm ejection charges and smaller. But a D12 or E9 ejection charge will definitely burn 100 pound Kevlar. So for larger engines, use stronger Kevlar, at least for the first few inches in front of the ejection charge. Or add some form of protection such as heat-shrink tubing in the portion of the Kevlar that is exposed to the ejection charge heat. Another drawback is that Kevlar cord does not absorb shock. For some events this is not too much of an issue, such as Parachute & Streamer Duration, as the models are fairly light. But for others such as Egg Lofters, Plastic Models, and Scale Models, it is an issue. Those models usually need to have their shock cords stretch to absorb shock at chute deployment. So, the appropriate size and length of elastic is suggested for most of the shock cord (Kevlar and elastic can be used together such as Lariat Loop to run the cord inside the body then transitioning to elastic outside of the top of the tube). Flights Per Event & Scoring. In most events, you are allowed two flights, weather permitting. In Altitude events, your score is based on the best single flight. If a qualified flight is not tracked (or the tracking data does not close), you can get a re-flight. In Duration events, usually, your score is a TOTAL of the flights made (the exception being Egg Lofting Duration, where the best single flight with the egg returned intact is your score). In Multi-Round Duration events, three flights are allowed, each with a maximum time cap. If there is a tie for first at the end of three rounds of flying, then those who are tied enter an additional flyoff round. In Craftsmanship events (like Scale & Plastic Model Conversion), two flights are allowed. The best qualified flight score of the two is used. So if your model flies well, and you do not think it would score better, there is no need to risk flying it again. Various other events only allow one flight, like Spot Landing. And Drag Race is one flight per heat, but involves multiple heats (if you keep winning), as with automotive drag racing. Models Per Event. Usually, you are allowed to use two models in each event. Events that only allow one model are Craftsmanship events (like Scale & Plastic Model Conversion), events that only allow one flight (like Spot Landing), or Drag Race (one model for multiple heats). In case of a “catastrophic failure”, which normally means an engine malfunction, a replacement model is allowed. Launch Equipment. At NARAMs, a centralized electrical launch control is used. Each NARAM pad has a 1/8″ rod, and a few 3/16″ and 1/4″ rods are available for some pads. If you want to use your own Launch Pad (i.e. rod, tower, piston, C-rail, etc), you may. You’ll set it up in the assigned launch lane, hook up the electrical leads from the NARAM launch control system and fly. That’s Why We Fly ‘Em. Regardless of performance potential, reliability, and everything else, it all comes down to flying and seeing what happens. Some days you’ll do well, other days not so well. And the same goes for your fellow competitors. So, keep at it and learn as you go. As you have time, observe what the other fliers are doing, model-wise and flying-wise. Fellow Competitors. Fellow competitors are a good source for learning about designs, flying, and so forth. Most are happy to give such advice, and most of them learned the same way from other competitors. And flying against them is also a good way to learn.